Yesterday marked the official launch of the 2017 edition of the Ottawa Shoebox Project for Shelters, supported by Dream. 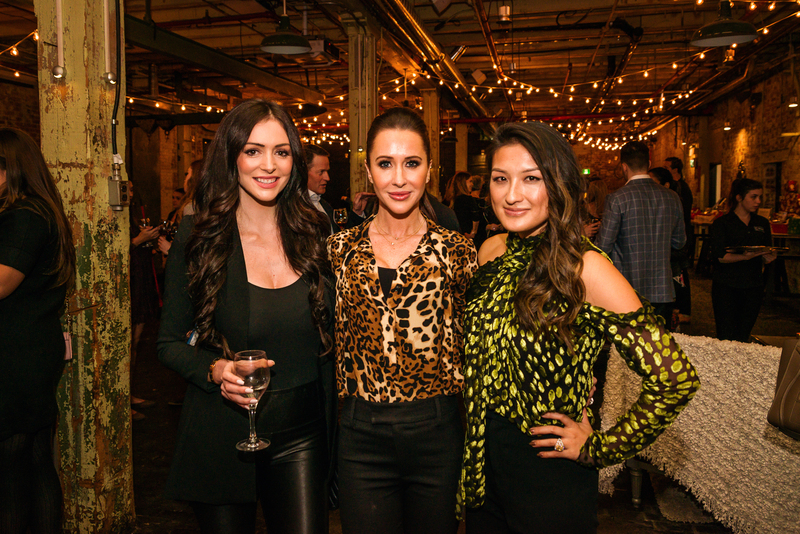 Zibi were proud to be joined by Jessica Mulroney and Melinda Karlsson to host the official launch event, where guests were invited to assemble their own Shoeboxes, donate to the cause, and write words of encouragement for the Holiday season. The Shoebox Project for Shelters collects and distributes gifts in the form of Shoeboxes to women who are homeless or at-risk of homelessness in communities across Canada and the US. Each thoughtfully created and decorated Shoebox is filled with items valued at $50 that can enhance self-esteem and reduce feelings of isolation for women in crisis. Founded in 2011 by sisters-in-law, Caroline Mulroney Lapham, Jessica, Katy and Vanessa Mulroney, the Shoebox Project has gone from delivering 400 Shoeboxes in its first year to over 36,500 in 2016. There are many ways to encourage this worthy cause, and every little bit helps. Donations can come in the form of a Shoebox, financial donations, or donations in-kind. Each Shoebox must be valued at approximately $50, and be filled with items that you would personally like to receive during the Holidays. For help creating your own Shoebox, visit the Shoebox Project website. Your boxes can be dropped off at any of the many Ottawa locations, or at Zibi’s Presentation Centre at 3 Eddy Street in Gatineau from 12pm – 6pm Monday – Thursday, or 12pm – 5pm on Saturday and Sunday. Cash donations can be done online by visiting the following website. Donations in kind are to be arranged with your local coordinator, who will be able to confirm what their specific needs are. Find your local coordinator here. Your time and skills are undoubtedly great assets and appreciated. You can either spend some time at our Head Office in Toronto, volunteer with your local chapter, or host your own Shoebox Project event. Find all the relevant information here. Zibi and Dream are teaming up with St. Joe’s Women’s Centre by donating 50 Shoeboxes for the 2017 campaign. Through our drop-off location, we’re hoping to collect enough additional boxes for all 250 women who are currently residing there. The St. Joe’s Women’s Centre provides daytime shelter for Ottawa’s homeless women since 1984, and continues to play a significant role in the lives of many women and their children. We’re proud to help this worthy Ottawa institution.